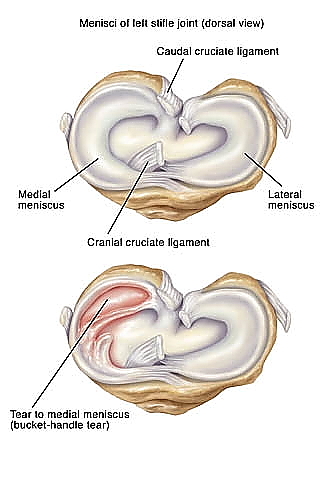 WHAT IS A CRANIAL CRUCIATE LIGAMENT INJURY? Rupture or tearing of the cranial cruciate ligament is the most common orthopedic injury affecting dogs. This injury leads to pain, lameness, and arthritis in the affected joint. 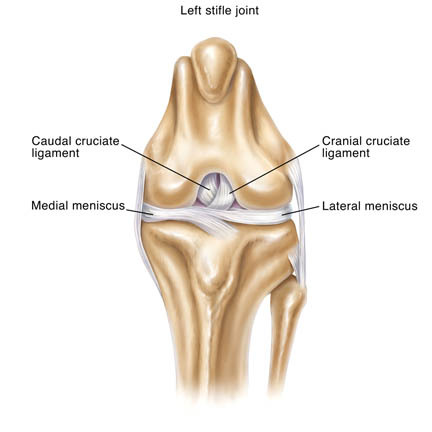 The cranial cruciate ligament is located inside the stifle (knee) joint, and is one of the structures connecting the femur and tibia bones. It stabilizes the joint by preventing forward sliding of the tibia relative to the femur (cranial drawer motion), and hyperextension of the joint, and by limiting internal rotation of the tibia. 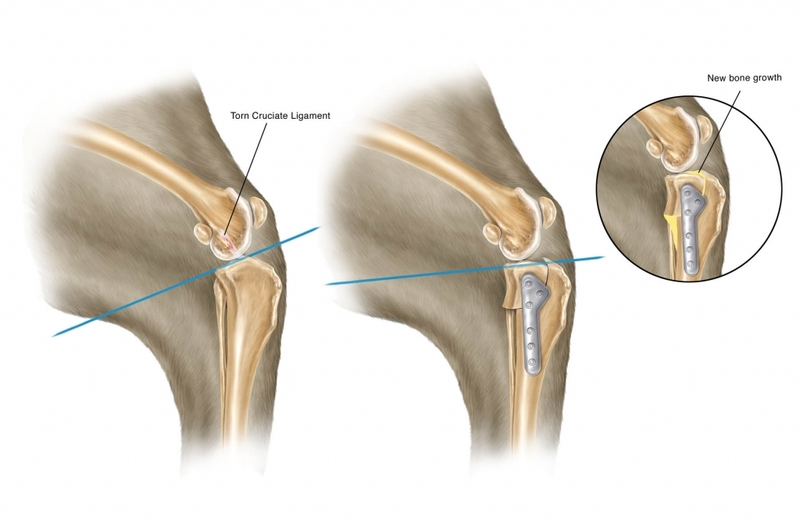 Rupture of the cranial cruciate ligament results in instability that causes severe wear and tear on the cartilage of the joint as well as leading to secondary injury to other structures within the joint such as the menisci (cartilage pads). The Tibial Plateau Leveling Osteotomy procedure has proven effective in returning injured stifle joints to full function. Rupture of the cranial cruciate ligament results in pain, swelling and obvious lameness. Partial tears of the ligament can cause similar but milder symptoms which sometimes come and go for some period of time, and in most cases will ultimately result in a complete tear. Diagnosing the injury involves observing your dog's gait, palpating the joint for the telltale instability, and in many cases taking x-rays to look for arthritic change and swelling within the joint. Sometimes mild sedation is necessary to carry out this evaluation. Pre-operative x-rays are taken to measure the angle of slope of the weight bearing surface of the tibia (tibial plateau). This angle is used to calculate how much rotation is needed to level the weight bearing surface. 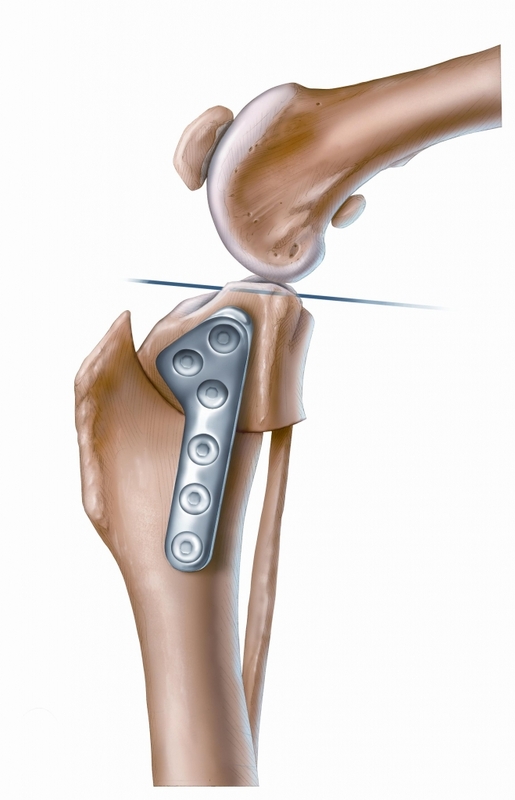 During surgery, a specialized saw and blade are used to make a curved cut in the tibia freeing the upper segment of bone containing this weight bearing surface. The cut segment is then rotated according to the earlier calculations, and a metal plate and screws are applied to hold the segment in this new position as the bone heals. During the surgery, the menisci inside the joint are also inspected, and damaged portions removed if necessary. If the menisci are found to be in good condition, a "meniscal release" is performed to help prevent future damage to the menisci. Effective pain management is important to your pet's recovery and comfort. We take a careful and proactive approach to ensure that your pet is as comfortable as possible during the recovery and healing process. Pain control measures are tailored to the individual, and generally include the use of pre- and post-operative narcotics, an epidural nerve block, and non-steroidal medication to address pain and inflammation associated with surgery. As with any surgery, some complications may arise. Most complications can be avoided by adhering strictly to recommendations regarding post-operative incision care and appropriate activity restriction. Failure to observe these measures can result in delayed or poor healing. Rarely, complications involving fracture of the narrow front part of the tibial crest or inflammation of the patellar tendon can be seen. Infection and failure or breakage of the implant hardware can be seen, but are both very rare. Dr. Keast was trained and certified in the TPLO procedure in 2004 by Slocum Enterprises, the company founded by Dr. Barclay Slocum, the surgeon who invented and patented the TPLO procedure. 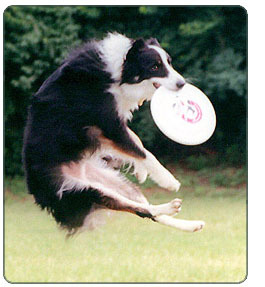 At this time, Dr. Keast is the only TPLO certified veterinarian practicing in Missoula, and offering this procedure.